#C4TheBeyond – “Speedball” comes home! Last night we announced our huge main event for September 14th. Well, right now, we’ve got another mega first-time-ever match to announce right now! 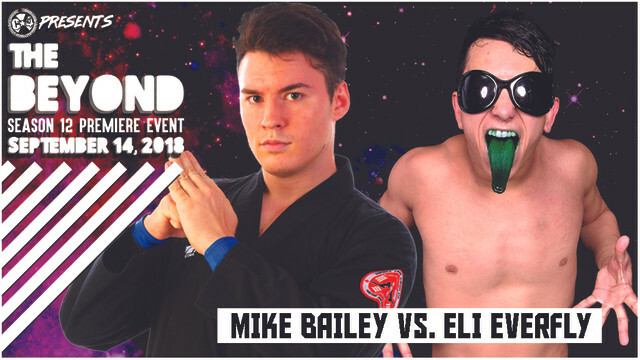 At #C4TheBeyond, we are so excited to welcome back “Speedball” Mike Bailey, for the first time in over a year. Bailey is a man who called C*4 home for many years, but as his stock has risen internationally, he unfortunately has been forced to miss many dates here. While that is a disappointment in one sense, it truly makes his matches when he is here all the more special. ← #C4TheBeyond – C*4 Championship match set for Season 12 Premiere!